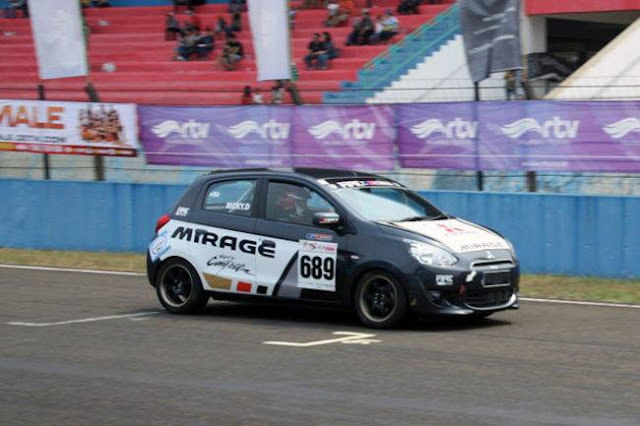 You would probably buy a diesel-powered subcompact. But would anyone else? If you read the headline for this post and you're in the U.S., you're already thinking to yourself—yes, we get shorted when it comes to diesel choices in the States. You're probably already thinking, hell yes I'd buy a diesel-powered subcompact—if they offered one! In fact, if you're reading this article you probably would buy a diesel-powered Scion iQ, Suzuki SX4, Mazda2, Honda Fit, etc. That's not really the problem. The problem is most Americans probably wouldn't. DO WE REALLY WANT THEM? For example, I was in the Toyota booth at the SEMA Show, and a gentleman with a British accent (which means he must already love diesel engines, right?) went up to a Toyota rep and asked, "When are we going to get a diesel-powered Toyota in the U.S.?" The rep replied, "Probably not for a long time." "Why not?" asked the questioner. "Because people don't really want diesel in the U.S.," said the Toyota rep. The British-sounding gentleman couldn't believe the response, and said, "You've got to be kidding?" Consider, if you will, the MkIV Golf R32. Volkswagen brought the car over as a love letter to its most devoted fans… who let them sit on the lots until the tires flat-spotted. The R32 ended up being a used-car-market superstar, often selling to its second owner for more than the first owner paid. VW could, and should have realized that this revealed an essential truth about the “enthusiast buyers”: they buy used, when they buy at all. In fairness, there is one group of VW enthusiasts who vote with their wallets at new-car showrooms, and that is the TDI crowd. They buy the cars new, and they buy as many of them as they can collectively afford. Trouble is, that doesn’t account for very many units. It’s impossible to run a nationwide dealer network on diesel-wagon volume. It takes six-figure mojo and plenty of it. This brings up the question, would semi-affordable diesels also sell decently for other automakers? 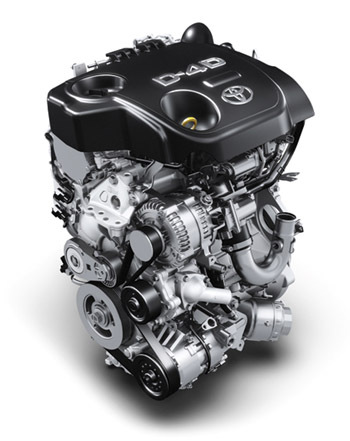 Diesels have come a long way since the '70s and '80s, as evidenced by VW's TDI-powered cars. 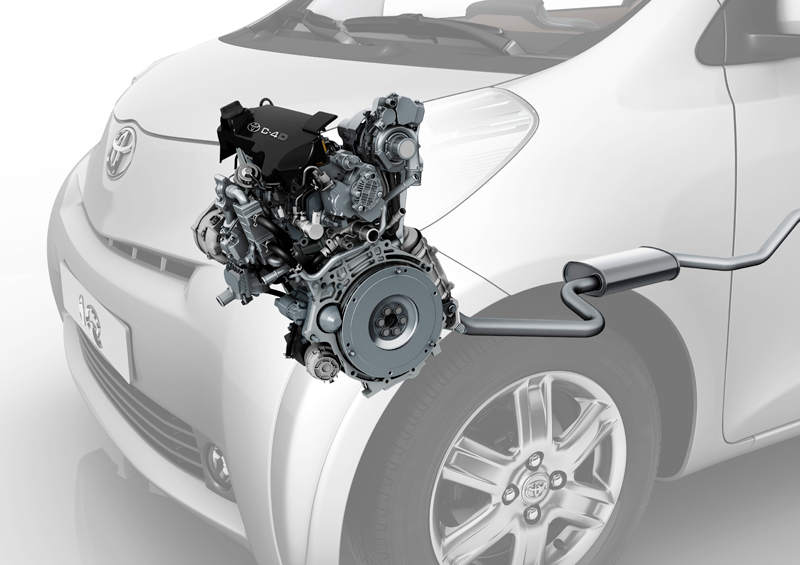 But still, they're often not up to the acceleration levels of a gas-powered version of the same car, and that may turn off a lot of buyers in the U.S.
For instance the Toyota Urban Cruiser, the UK version of the Scion xD. It is sold with a diesel engine and AWD. I know, I can already hear some of you saying, "Hell yes, I'd buy one." But word on the street is they are quite pokey in the power department. Would you still buy one knowing it does 0-60 MPH in about 12.5 seconds? That's about the same time as a Smart ForTwo. The USDM Scion xD does 0-60 8.4 seconds. However, the slow Urban Cruiser also gets 57.6 MPG (EU driving cycle), and yes that's with all-wheel drive. Is the trade off in performance worth it for the fuel economy? If fuel prices keep climbing, maybe. I can still hear you saying, "Yes, I don't care—I'd still buy one." Again, the problem isn't you, Mr./Mrs. Automotive Enthusiast; it's the general public. When many Americans think of diesel engines, they still recall stories of General Motors' infamous 350 diesel engine. This was a powerplant so bad that many of them were yanked out of engine bays and gas-powered engines were installed in their place. Such was the case with my friend's 1980 Cadillac Coupe de Ville. The 350 diesel was grossly underpowered making only 105-120 HP, it belched black smoke, and generally sucked in most respects. Actually, many of the diesels from the '70s and '80s had these characteristics. My buddy's '79 VW Rabbit diesel produced lots of smoke and had hardly any power, although it rarely needed to be refueled. Still to this day, I've talked to many non-enthusiasts who say they don't want diesel because it's smelly, slow, and smokey. Half the time, a story about a GM 350 diesel follows, too ... Hey, it's hard to fight perception. The other thing people who aren't hip to diesels will says is that it's more expensive than regular gasoline, even premium gas. True, but remember, you're getting a lot better mileage! Note this chart from FuelEconomy.gov I put together. This is taking into account that diesel is, on average, $0.60 more expensive per gallon than 87 octane gasoline. Yes, it costs more to fill up, but your annual fuel costs are $400 less a year. According to a 2011 article on Autoblog.com, diesel sales were up 38.5% in the first half of '11. Hey, good for diesel. It has also been confirmed that the U.S. will be getting a diesel-powered Chevrolet Cruze for 2013. It's good to see another mainstream automaker stepping into the "oil-burner" segment. Maybe Chevrolet's future foray into diesels will help to change Americans' opinions on diesel. If they can prove that Americans will indeed buy diesel-powered cars, we might see more competition from other manufactures. After all, it seems like the small car segment is the last to get the latest technology, options, and equipment. Small cars have been the last to get things like blind spot detection (now available on the Mazda3), ABS (small cars were the last to get it), or even airbags. Then there's the pricing thing. In this country, you'll definitely pay a premium for the diesel option. Many, including myself, would say that $24,235 for a two-door Golf TDI is too much for their budget; you can get into a gas-powered Golf for about $5,000 less. 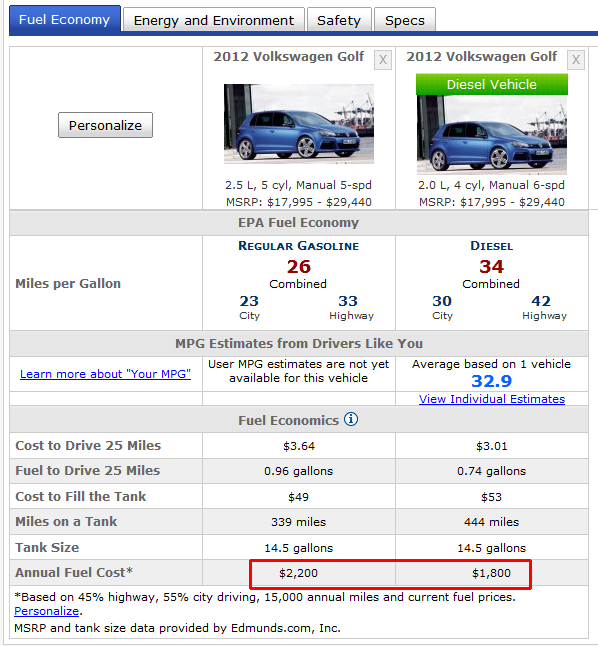 The Golf TDI is, however, the least expensive diesel-powered car sold in the United States. In fact, pricing might be the most important reason why diesel hasn't become widespread here. As it stands now, there isn't much of a margin on subcompact cars. Suzuki has openly said that one reason we don't have the Swift in the U.S. yet is because they can't figure out a way to sell it and turn a profit. So, take a car that already has a low margin and add an expensive diesel option. Now, you've got a car that has no margin, is expensive, and has a limited appeal. And maybe that profit equation is the real reason we haven't seen more diesel vehicles of any sort in the U.S.
Then again, hybrids have become the darlings of many American car buyers, even with their premium pricing. They're perceived as clean transportation. Can diesel overcome this hurdle in the U.S.? The success of the upcoming Chevrolet Cruze diesel may play a more vital role in the future of the diesel passenger car than we may even know. I'm looking forward to the experiment. I'm exactly the person the title of this post is describing: I would buy a new turbodiesel version of any vehicle over its gasoline-powered alternative. The reason I don't own a TDI Volkswagen is because VW doesn't offer anything that interests me, but I would KILL for a diesel Jeep Wrangler. I don't care that diesels accelerate more slowly than "equivalent" gasoline versions. I love the surge of torque, the incredible fuel economy, and the longevity of diesel engines. What I don't like is the extent to which government legislators have meddled in the free market, mandating that diesels have thousands upon thousands of dollars worth of emissions control equipment that strip the engines of their power and fuel economy. They've nearly negated all the benefits to diesel over gasoline. Perhaps HCCI is the future. I can see a future in which gasoline and diesel merge - as long as the government stops trying to legislate the laws of physics by forcing compromises that people don't want and which can't realistically be met. I'd love to see some small, less expensive diesels here in the States. I'd buy one since I'm really not picky about acceleration. I drive pretty slow anyway. I'd also hope that it could turn the tide and we could stop trying to turn corn into fuel alcohol, a silly venture if ever there was one, and just use corn oil as part of our fuel. We already produce that by the gallon. I agree with rubicon4wheeler. 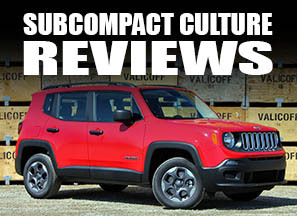 A diesel motor would be ideal in a Wrangler - loads of torque, great range, decent economy. They make them for everyone else except us here in North America, I've heard. Yet everyone I know would kill for one. I'm dumping my gutless gas-guzzling Jeep and won't buy another Wrangler until they put a diesel in it. However, I also see the point of the paradox of cheap little car vs. expensive diesel motor. Why I will buy a cheaper, almost as fuel-efficient gas econobox instead of a Jetta. Yes, I would buy a subcompact diesel in a heartbeat... as long as I didn't have to pay $40,000 for it. It's frustrating that more options are not available in the US.